Pandur Z, Šušnjar M, Bačić M, Ðuka A, Lepoglavec K, Nevečerel H (2019). Fuel consumption comparison of two forwarders in lowland forests of pedunculate oak. iForest 12: 125-131. Fuel consumption of forest machinery and vehicles depends mainly on terrain conditions, working methods, drivers’ skills, engine load under working conditions, engine speed, type and technical characteristics of the machine. In timber harvesting operations, fuel consumption is significant for both, economic (costs), and environmental issues (80-95% of exhaust emissions and soot particles are associated with fuel consumption). The objective of this study was to compare fuel consumption in two different forwarders and to analyse two different measuring devices for fuel consumption. Fuel consumption was measured on a 6-wheeled Valmet 840.2 forwarder and an 8-wheeled Valmet 860.4 during roundwood and energy wood extraction in winter period. A differential fuel flow meter and a fuel measuring probe were used for measuring fuel consumption as well as a Fleet Management System (FMS) for transmitting measured data. Fuel consumption was expressed in six different ways depending on the stage of the working cycle, time, travelled distance, load volume and load mass. Finally, both the advantages and disadvantages of the used fuel measuring devices were gained. The results indicated higher fuel consumption of the smaller Valmet 840.2 forwarder due to lower soil bearing capacity and longer extraction distances. For both forwarders, higher fuel consumption (expressed in l t-1 km-1) was observed while extracting energy wood due to its lower overall mass. A survey analysis of forest harvesting and transportation operations in Michigan. Croatian Journal of Forest Engineering 35 (2): 179-192. Diesel consumption and carbon balance in South African pine clear-felling CTL Operations: a preliminary case study. Croatian Journal of Forest Engineering 38 (1): 65-72. Energy consumption and exhaust emissions in mechanised timber harvesting operations in Sweden. Science of the Total Environment 255 (1-3): 137-145. 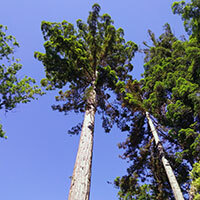 LCA studies in forestry - Stagnation or progress? Croatian Journal of Forest Engineering 38 (2): 311-326. Impacts of central tire inflation system application on forest transportation - review. Journal of Forest Science 63 (4): 153-160. Economic benefits of long term forestry machine data capture: Austrian Federal Forest case study. In: Proceedings of the meeting “FORMEC 2010, Forest Engineering: Meeting the Needs of the Society and the Environment”. Padova (Italy) 11-14 July 2010, pp. 1-8. Factors that affect fuel consumption in logging systems. In: Proceedings of the “37th Council on Forest Engineering Annual Meeting”. Moline (IL, USA), 23 June 2014. COFE, Morgantown, WV, USA, pp. 6. Fuel consumption and exhaust emissions in the process of mechanized timber extraction and transport. European Journal of Forest Research 136 (1): 153-160. Fuel consumption in forestry continues to fall. Jan Fryk, Uppsala, Sweden, pp. 4. Hybrid forwarder achieves considerable reduction in fuel consumption. Jan Fryk, Uppsala, Sweden, pp. 4. Productivity and energy consumption in logging operation in a Cameroonian tropical forest. Ecological Engineering 57: 149-153. Automatic load level follow-up of forwarders’ fuel and time consumption, International Journal of Forest Engineering 27 (3): 151-160. Tyre pressure control on timber haulage vehicles. Some observations on trial in Highland, Scotland. Roadex III Publications, Luleå, Sweden, pp. 75. Fuel consumption in forwarders. International Journal of Forest Engineering 14 (2): 11-20. Measuring the fuel consumption of forest machines. Metsäteho Report 148, Helsinki, Finland, pp. 4. Supply of wood biomass for energy purpose: global trends and perspectives. FederUnacoma, Rome, Italy, pp. 16. Economic comparison of the use of tyres, wheel chains and bogie tracks for timber extraction. Croatian Journal of Forest Engineering 27 (2): 81-102. Skidding operations in thinning and shelterwood cut of mixed stands - Work productivity, energy inputs and emissions. Ecological Engineering 61: 216-223.